“Regardless of their age, the number one thing we hear when we meet a client for the first time is that they are overwhelmed and do not know where to begin,” said Michelle Kavanaugh-Anastasi, CEO and founder of Organize Senior Moves (OSM), LLC. 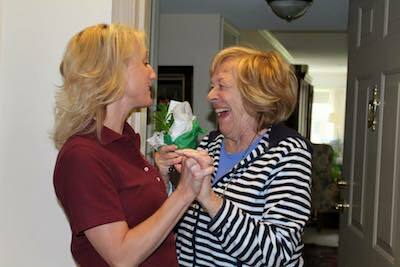 A member of the National Association of Senior Moving Managers, OSM is an independently owned senior move management company trained and certified to work with clients during what can often be an emotional time, particularly for those going through the process of downsizing their possessions late in life. 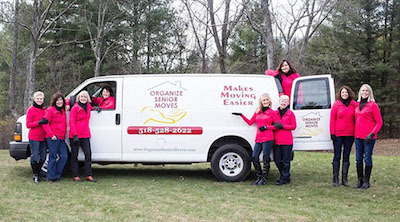 This can apply to more than moving: OSM also offers organization services and can help you stage your home for sale. And, finally, unpacked in their new space, including placement of furniture, hanging pictures, unpacking personal items, putting away dishes and making beds. OSM has access to a number of resources that may be needed during the moving process such as auctioneers, realtors and movers. Kavanaugh’s project managers can identify and recommend services their clients may need, but no decision is ever made without the client’s input. It isn’t necessary to be a senior to take advantage of OSM’s services. Just visit the company’s Delmar location at 125 Adams Street between 9 a.m. and 3 p.m., or call (518) 621-6568 to schedule a free, one-hour consultation. To learn more, click here. Something wonderful awaits. Discover the Summit difference. © 2019 Summit Senior Living.